Thanks to our Rigging Team! 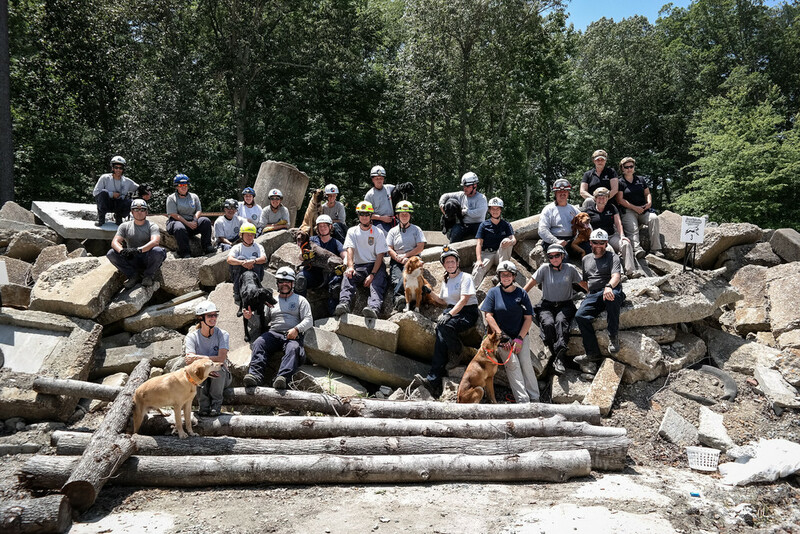 At our VA Beach Workshop, HRD and Live Find K9 teams battled triple digit temps while they traversed the 3 rubble piles, wide debris area, and the burn tower at the training center. 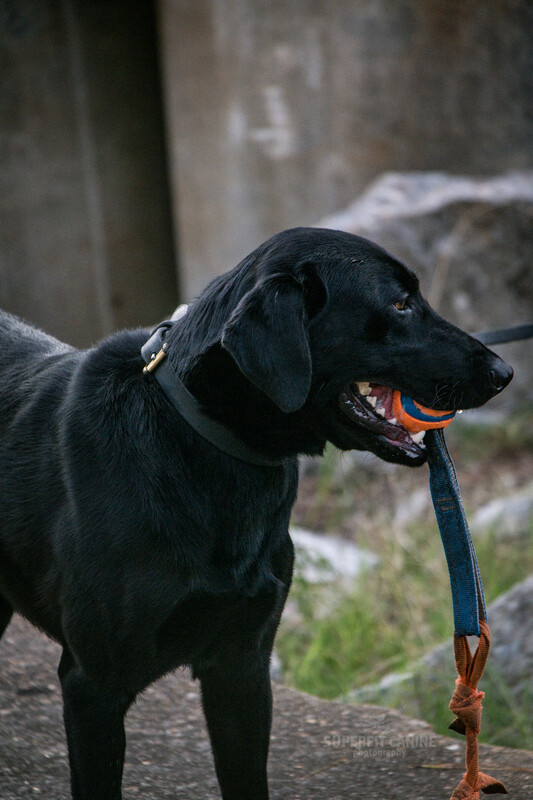 In addition to some top notch search areas, HRD K9 teams were able to operate around large, fresh source material and Live Find K9 teams had the opportunity to work around the same HRD sources. 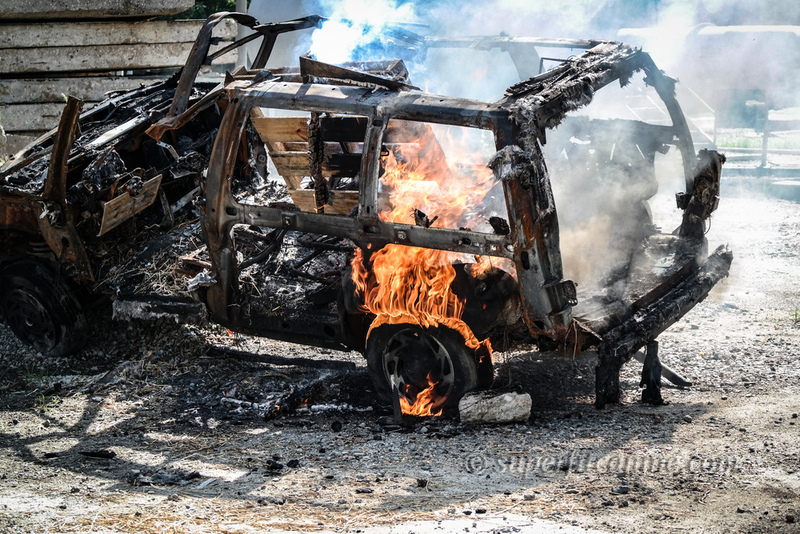 Some of the search areas were freshly burned, to provide a novel, realistic environment for the dogs and handlers. 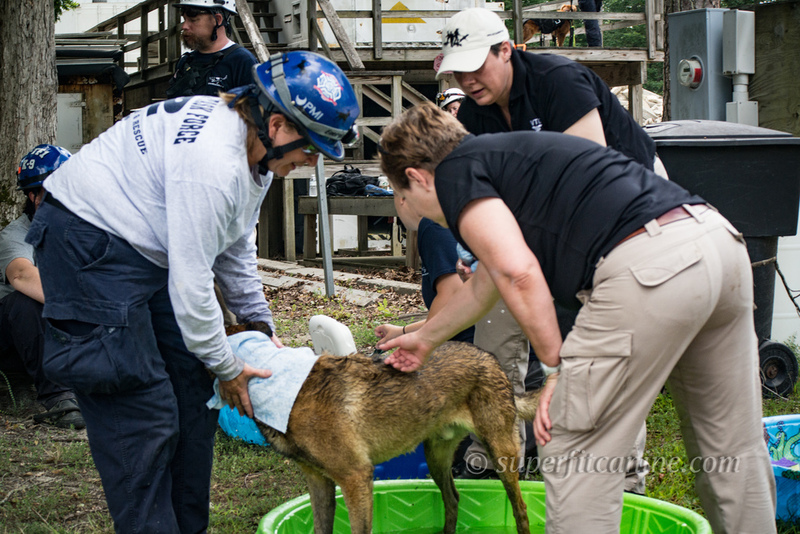 Our veterinary support team, courtesy of Veterinary Tactical Group, kept the pups safe by manning cooling stations throughout the site and monitoring the dogs closely for signs of heat stress. 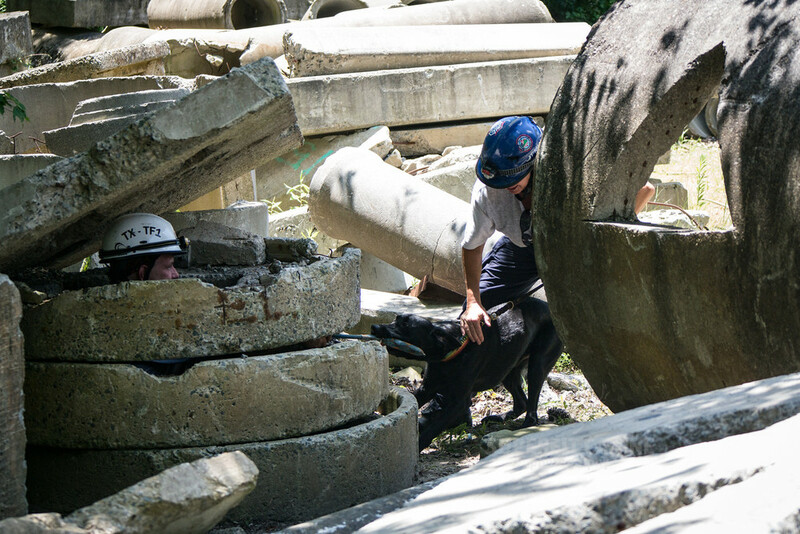 In addition to some great rubble searches, thanks to the rigging expertise and cooperation from VA Beach Fire Department and VA-TF2, K9 teams were able to practice moving with their K9 from the observation tower to the rubble pile via a high line rope system. 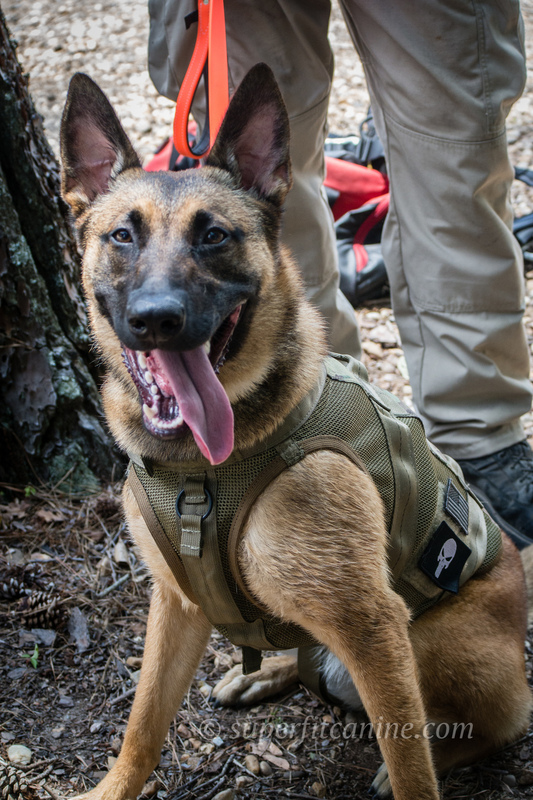 This exposure is an incredibly valuable part of developing a deployment ready K9 team. 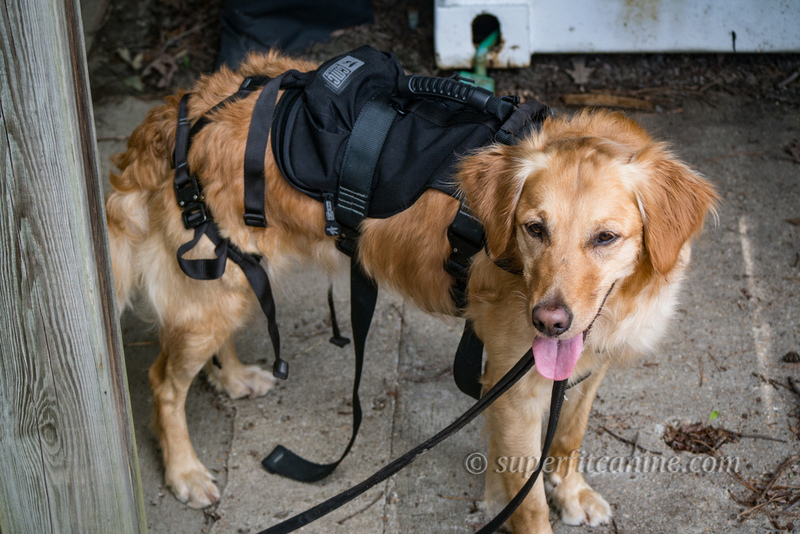 Special thanks to CMC Rescue and London Bridge Trading, Inc. for generously sharing your harnesses with us for use during our workshops! 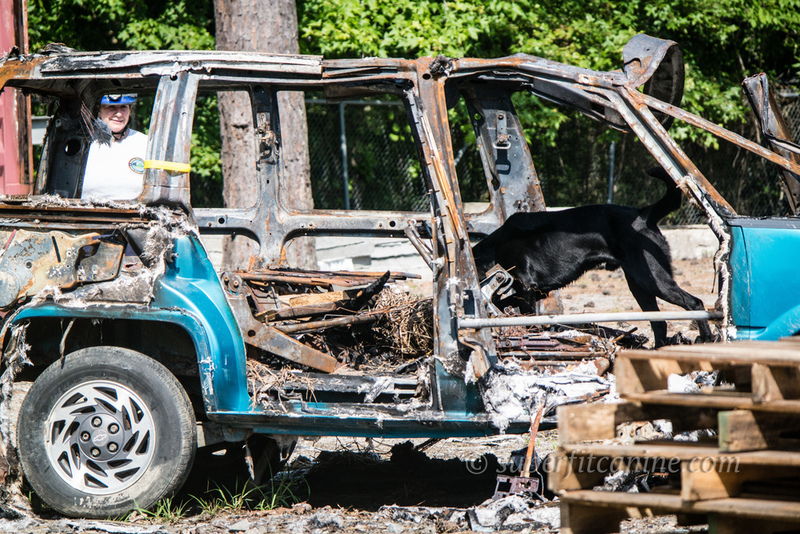 Superfit Canine Disaster K9 Workshops were developed to give K9 teams from all over the country the chance to expose themselves to new and challenging environments. 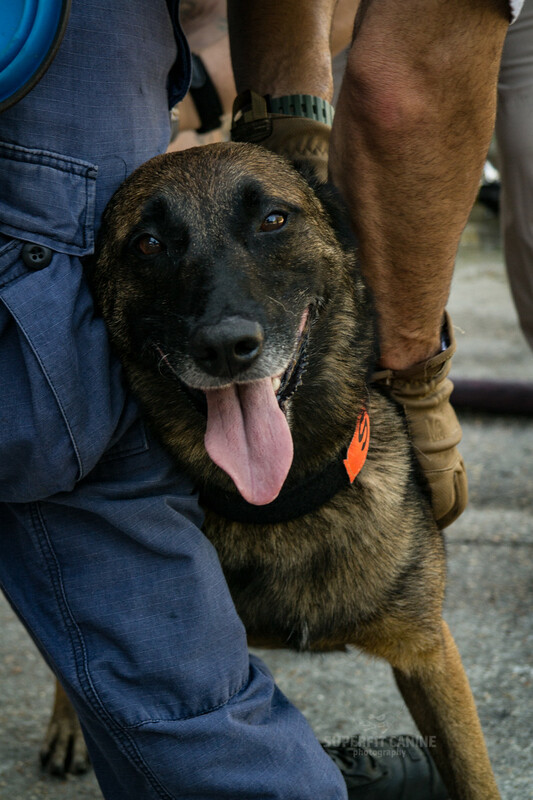 These exposures are essential in order to improve the deployment readiness of the disaster K9 teams and ensure that search and/or recovery missions are successful and that no one is ever left behind. 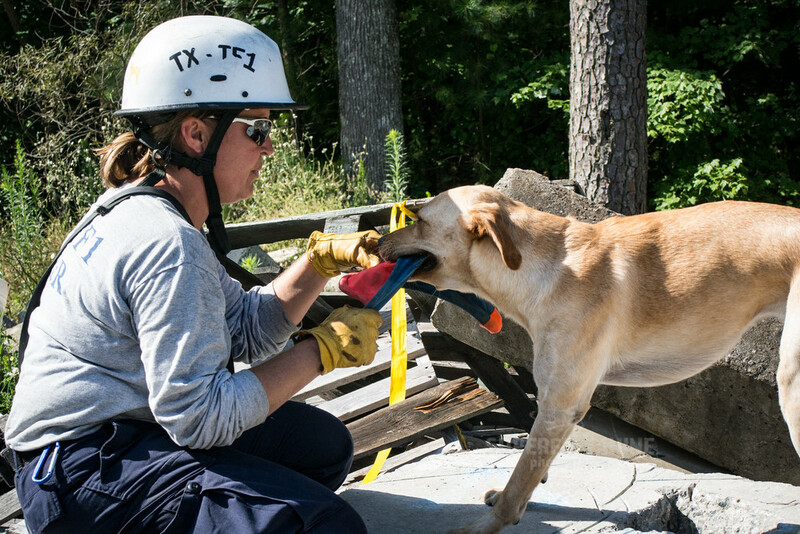 Superfit Canine held it's first K9 Tactical Emergency Casualty Care course for USAR Med Specs in the 2 days immediately following our Summer 2016 Workshop.